The spectrum of birding is vast and amazing. Depending on where we live, a select variety of birds can be found locally, and within certain travels of where we live. Right now birds are migrating in full-force. The colorful flurry of warblers have molted into drab plumage, which helps them stay camouflaged during the fall and winter months. Common Nighthawks are pouring through the evening skies; sometimes in steady streams, and often in disjointed clusters. Yesterday over 30,000 of these amazing nighthawks flew past Hawk Ridge here in Duluth, MN! Shorebirds are doing their best to stay in tight groups as they search for mudflats and beaches for food, while staying as far away from Peregrine Falcons as possible. The amazing spark of Hawk migration has begun, and it will leave us in awe throughout the next two month. Another category of birds the jaeger, is making a special appearance right now. Jaegers are an incredible bird that thrives over the open waters, often ocean-dwelling. 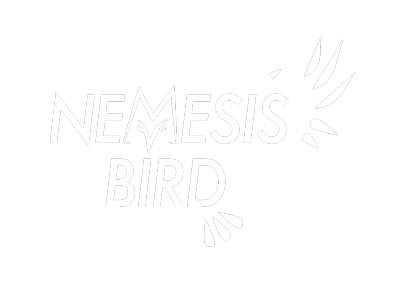 They are a bird of stealth, speed, and pure agility. While appearing somewhat gull-like when flying at ease, these amazing pelagic species can seemingly morph into a tern-like bird that is exploding with power. Originating from the German word for “hunter,” jaeger is a very appropriate name for these unique birds. Jaegers are kleptoparasites, which means that they steal other birds’ food for their own food. When breeding on-site in the arctic tundra, jaegers will readily go after shorebirds (to eat them). When jaegers are out over the expanses of water, they will readily pursue gulls in search of food. Using their sickle-like wings to accelerate and propel themselves into mind-blowing acrobatics, jaegers will harass the gulls until the gulls regurgitate food. The jaegers then consume this regurgitated meal (pardon, to anyone eating a late dinner)! Earlier this morning I witnessed a Parasitic Jaeger chasing a Ring-billed Gull. 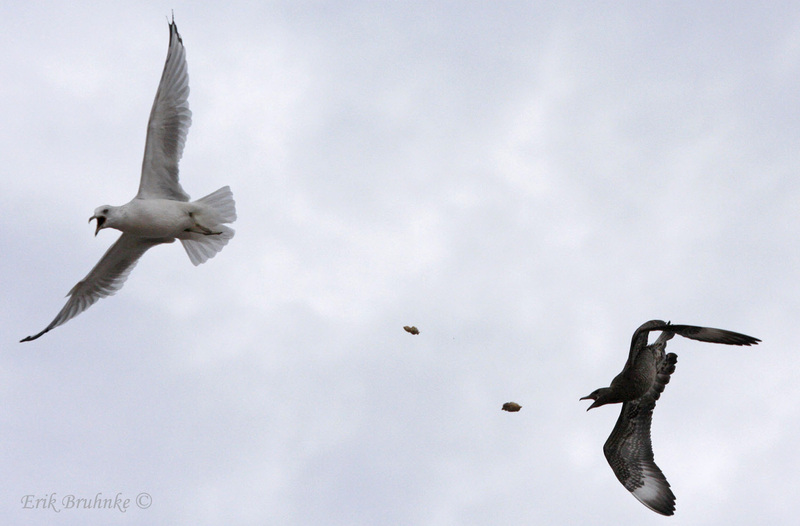 The Ring-billed Gull threw-up its meal, and the jaeger caught the “chunk” in mid-air. After deciding that it didn’t like the food selection, the jaeger dropped the meal, which was quickly fought over by nearby juvenile Ring-billed Gulls. Silly gulls! Although they are mostly ocean-dwelling, few jaegers meander inland every migration while flying to-and-from the arctic tundra. Western Lake Superior is a great area to find these amazing birds. 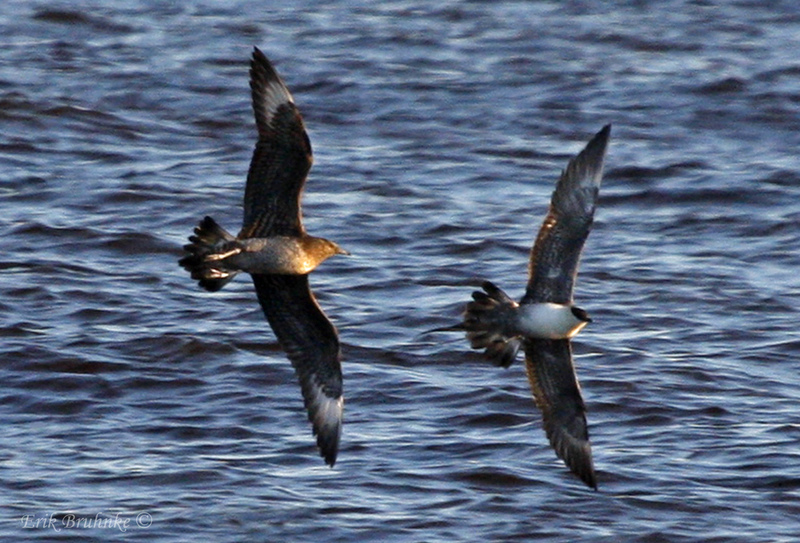 Parasitic Jaegers, the mid-sized jaeger species, is the most commonly seen jaeger species seen throughout this region. Every few years the chunky and hefty-profiled Pomarine Jaegers show up. 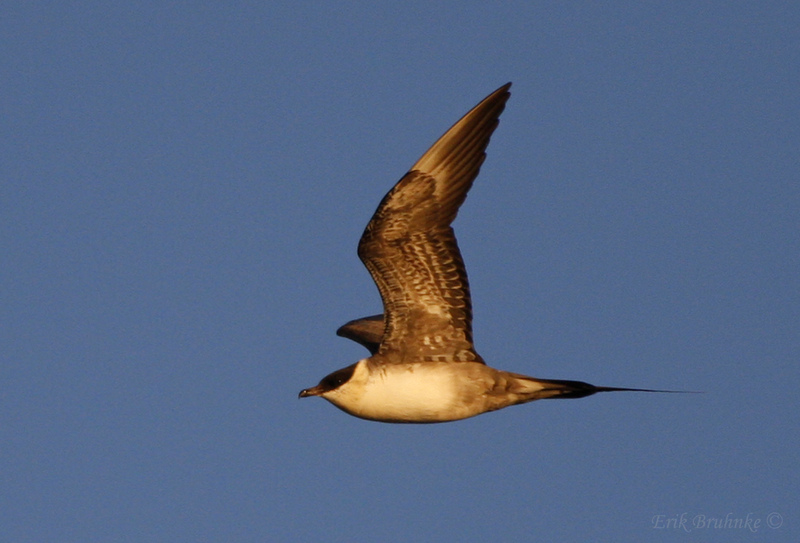 The rarest jaeger to visit this region is the Long-tailed Jaeger, which is the smallest and most slender-profiled of the jaegers. Birding adrenaline was something else this morning, as I witnessed two Parasitic Jaegers and a Long-tailed Jaeger from shore today. eBird list from my favorite birding spot along Lake Superior (from this morning), is below. Jaegers are a blast to search for. If you’re scanning through a large flock of gulls and see them suddenly explode in a chaotic panic, keep your eyes peeled for a bird much smaller than the typical gull-bothering Bald Eagle (the Bald Eagles are still awesome). Bald Eagles are quite fond of pestering the gulls, however if the gulls freak out without an eagle in sight, there could be a jaeger nearby. Jaegers often pursue the gulls by flying low over the water, and as they pick up speed, will often pick out one gull (often with the largest crop). This gull has two choices… either regurgitate the food and let the jaeger have its way, or fly away in a panic while dodging swift passes and corkscrew-like motions that the jaeger exerts. The lifestyle of a jaeger is sneaky, and they are incredible to watch. Jaegers are polymorphic, which means that they come in various color varieties (light, dark and intermediate). Unlike gulls where the males are larger than the females (sexual dimorphism), male jaegers are smaller than female jaegers (reverse sexual dimorphism). In addition to the thrill of trying to pick out these rare inland vagrants among so many gulls, another fun aspect of jaeger-watching is the challenge of identifying them. We might save that for a different time! Get out there and look for jaegers! The only bird that likes a jaeger, is another jaeger… well, most of the time!